Healing stones are worn for Good luck and Prosperity. Apart from that Healing stones are also used to cure several Physical, Psychological and Meta-physical disorders. Healing Stones have powers to cure Depression, Migraine, Hypertension, Hormonal Imbalance, Diabetes, allergy, sinus, Asthma, Skin infections, Anemia, Arthritis, Indigestion, acidity, infertility and several other mental and physical illnesses and disorders. Healing Stones are also beneficial in the treatment of diseases related to Blood, Skin, Lungs, Liver, Kidney, Heart, Reproductive system and Immunity. How Healing Crystal stones work? Healing Crystals are naturally formed and thus possess Natural Powers, Aura & Healing Properties. Each healing crystal has unique Frequency & Energy level so can be used for healing benefits is chosen properly. Healing crystals should be chosen carefully as per the problem & purpose for best results. We have Crystal Healing experts who guide you wear & choose Healing crystals as per your requirement. Does Healing Stones have any side-effects? However, Healing Stones do not have any negative effect. Healing stones give only positive results. They can be worn by anyone without fear of any ill effect. If you like a particular healing stone, You can just wear it without worrying about any side-effects. This is the reason that Healing Crystal jewellery is so popular all over the world. However, there are Nine Planetary stones, which are also called ‘Rashi-Gemstones’. Each stone corresponds to a respective planet. These Planetary stones may have negative effect, if worn without proper advice. Why Different People suggest Different Healing Stones? There can me multiple stones, which can give similar effect. For Example, For Hypertension Problem, one can wear Blood Stone or lapis Lazuli or Black Tourmaline. Wearing either of them will benefit in hypertension cases. Therefore, Different people may suggest different healing stones for same purpose. How to choose a Healing Stone from the multiple options? Make a list of stones which are suitable for you, with respect to your specific problem. You will notice there can be multiple options to choose for each requirement. Have a look at them. The Stone that pleases you, attracts you the most and suits your budget too, is the one you should buy. Wearing a healing stone does not require too much of analysis. Listen to your heart, try to feel the vibes of the stone and the one that attracts you, is the one you should wear. Is it okay to wear healing stones in their Rough Crystal form? It is always suggested to wear Cut and Polished stones. Improper cutting, Rough Surfaces, Cracks or other imperfections in Healing Crystal disturbs the harmony of Crystal energy. To enjoy the best benefit of Healing stone wear well-Cut and Polished healing Stones only. Rough Crystal are good to keep at place of stay or work. Can healing crystal beads be worn instead of a single healing stone? Sometimes stones are drilled to make Strings to be worn. Such Drilled stones are called Beads. Some people prefer wearing beads wrist bands, armlets or Necklace than to wearing a single stone pendant or Ring. It is totally a personal choice to go with a single big stone or a beads String. What things should be seen before buying a healing crystal? Healing Crystals should be 100% Natural & should not be artificially enhanced, artificially colored. Healing crystal should not have surface Cracks, abrasions & Cavities. Although all Natural Crystals have Natural inclusions buy highly included stones should be avoided as too many big inclusions disturb the flow of energy within the crystal. It should have smooth surface without any Abrasions or Cracks. What should be the size of Healing stone that should be worn? Healing stones are Powerhouse of Positivity. More you get, is better. You can wear as big as you want. Just see that it should not hamper your daily activity and movement. Healing stone weight should be minimum 1 Gram (5 Carat) & above for good results. How to check if the Healing Stone is Natural & Authentic? 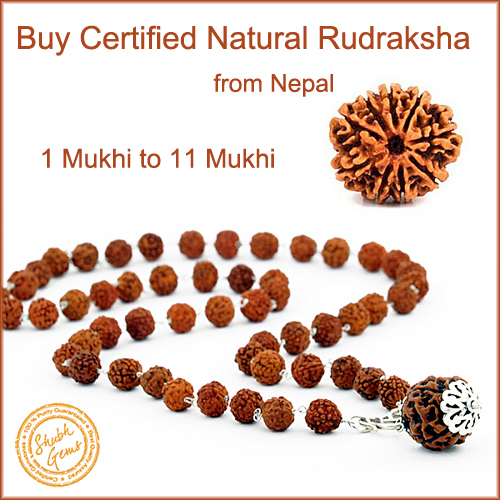 Buy Only Lab-certified Healing Stones. 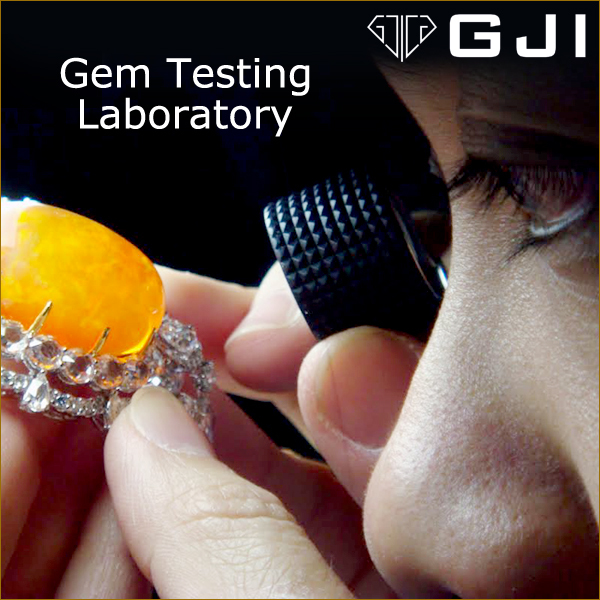 In order to double check, get your stone tested by a third-party Gem Testing Laboratory. SHUBH GEMS deals in only Certified Natural Healing Crystals. Visit www.gjionline.com for more details. Is it okay to wear Healing stones in Pendants? Yes, healing stones can be worn in Ring, Pendant, Bracelet or armlet. One Important fact is that the stone should have direct body-contact. Which metal is suitable for wearing healing Stones? Silver is the most preferred metal for Healing Stones. Gold is less popular as it is more expensive. Healing stones can be worn in other metals alloys as well. Holding Metals do not affect the benefits of healing stones. Is there any particular day when a respective healing stone should be worn? No. Healing stones are not planetary stones. They can be worn on any day. However, Some people have personal views on that, like they prefer wearing turquoise on Thursday or Saturday. There is no harm in following these opinions. However, Days are not really important in case of healing Stones. Where to buy Natural Healing Stones? Agate: Eases from Pain arising from bruises, Strains and Sprains. Helps in getting rid of Scars. Helps in improving skin health. Amethyst: Promotes creative thinking, Cures Insomnia. Relieves stress, migraine, Headaches. Aquamarine: Worn to treat Hyperactivity, promotes calmness, overcoming phobias. Treats Hair loss and helps in Hair Re-growth. Ensures Good Eyesight. Beneficial for people involved in Computer-related, Literature, Spoken-art and Engineering work profiles. 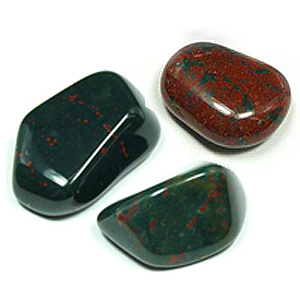 Blood Stone: Cleanses Blood and clear toxins, treats anemia.Effective for treatment of Piles, hemorrhoids and body warts. Eases Constipation. Carnelian: Good Concentration Power and Good Memory, Raises physical stamina. Good for students and Athletes. Citrine: Emotional composure, control on Emotions, Ability to hide your secrets and your emotions.Beneficial for people involved in Public Relations profile. 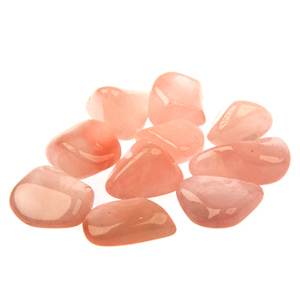 Rose Quartz: Promotes vigor, intimacy with partner, Stone for enhancing attraction, beauty and Fairness. Helps in curing impotency and infertility.Beneficial for Couples of all age groups. Malachite: Best stone to treating kidney and liver ailments. Beneficial for Arthritis, Diabetes and Hypertension Patients. Effective in Sexual diseases also. Pregnant women must wear this stone for healthy child. Ensures good Digestive system. Relieves Constipation, Diarrhea, Acid Reflux, Acidity. Lapis Lazulli: For Thyroid disorders, Hormonal imbalance. Controls Mood-swings and helps in reducing Weight. 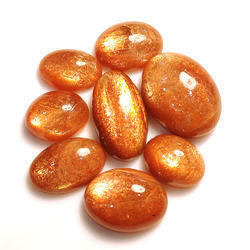 Sun Stone: For Heart related ailments, Blood Pressure problems. Beneficial for people involved with Government Departments. Smoky Quartz: Relieving stress, Emotional stability, and Removing suicidal tendencies. Tigers Eye: Boosts confidence, Protects from negative energies and Radiation. Improves health of Eyes and Nails. Green onyx: Promotes Good communication and presentation skills. Helps in fast recover from injury or disease. Enhances over-all personality. Sugilite: Balances and heals all chakras. Controls anger, protects the love relationships. Heals Physical and Psychological injuries. Beneficial for Lovers. Helpful in relieving pain, inflammation and Emotional Blocks. Amber: Boosts immune system, Protects Gums and teeth, Makes person Energetic, Treats diseases and disorders related to Throat, ear, Eyes and Nose. Beneficial for People who fall ill very frequently. Chrysocolla: It is related to throat chakra. Enhances ability to showcase talent, Beneficial for musicians, theatre & Film artists. It is helpful for people involved in vocal communication like company spokespersons, Mediapersons etc. Beneficial for Politicians. Helps in protecting against Cold, Cough and sinusitis. Moonstone: Balanced Emotions, helps in maintaining a balance between mind, body and soul. Beneficial stone for Doctors, Nurses, technicians and Teachers.Helps in achieving satisfaction at work and from family. Improves fertility also and regulates menstrual cycle in women. It is a protective stone for children also. It is protective stone for travellers also. Keeping a moonstone while travelling gives good luck and satisfactory results. If you are dissatisfied at work or in Family, You must wear it. Heliodor: Helps in uplifting mood and re-energizing life. It drives away the sadness and Laziness and promotes social interaction. Enhances chances of getting Positive feedback and respect from colleagues, Friends and Partner. 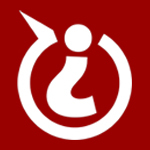 Induces go-getter attitude in person.Makes the personality of the person more attractive. Cures disorders and infections related to skin & Private Parts. Increases Energy Level and immunity. People awaiting Promotion and increments must wear it. Helps in getting rid of Debts and recovering Bad-debts. Also helps in winning arguments and Court-Disputes. Healing crystals are natural Minerals formed deep within Earth under natural Conditions. So, possess power to heal Person’s Physical, Emotional, Mental and Psychological disorders. There are many types of Healing crystals available. Each healing crystal has unique benefits. Some of the commonly known Healing crystals are Malachite, Turquoise, Lapis lazuli, Rose Quartz, Jasper, Agate, Serpentine, Sugilite etc. It is believed that Healing Crystals energize and activate our Body Chakras. Human body has seven major chakras. Our Physical and mental health depends a lot on the synergy of these chakras among themselves. Healing Crystals awakens the Body Chakras and gives desired effects. In addition to this, Healing Crystals have their own vibrations, which provide healing effect to the body. 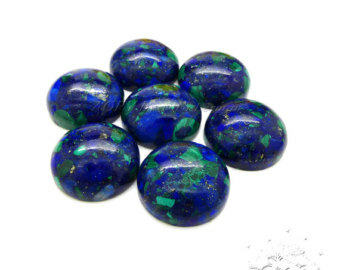 For example, Lapis Lazuli is known as a very effective Healing Stone for Thyroid Patients, Malachite is good for people prone to allergies or Kidney Problems, Rose Quartz is good for improving Vitality & Sexual health. Healing stones has no ill-effects, so can be worn by anyone. Healing crystals can be worn in Bracelet, Pendant, Ring or as beads. Healing Crystals propagate positive vibes in its ambience and absorb negative energies; hence it is very auspicious to keep Crystals of Amethyst, Citrine or Himalayan Rock Crystals at Workplace/office or Home. The power of Healing Crystals & Stones is acknowledged by Healers & Therapists all over the world. Turquoise is one of the most used Healing Stones, which people wear as Jewelry too. Bollywood actor & celebrity Salman Khan’s Turquoise Bracelet has made the Turquoise even more popular. Salman Khan believes it to be his Lucky Charm and have been wearing it since last so many years. Shubh Gems deals in all Natural Healing Crystals. Buy Healing Crystal online as per your need & purpose. Buy Healing Crystals in India at Shubh Gems, New Delhi or order Healing Crystals online from anywhere. Shubh Gems, India delivers Certified Natural Healing Crystals without any delivery charges.